LA MIRADA, Calif. (KABC) -- More than a month after a grandmother was run over and killed while walking her grandchildren in La Mirada, authorities are still searching for the driver. The city of La Mirada is offering a $5,000 reward for information leading to the arrest and conviction of the driver responsible for the death of Maria "Carmen" Chavarria. The collision happened around 1:15 p.m. on Feb. 20 along Escalona Road - a short walk away from Escalona Elementary School. Chavarria was walking her grandchildren home from school when the crash happened. The kids suffered non-life-threatening injuries. "This hit-and-run left two children injured and on the street alone with their grandmother, who was dying, while waiting for us to respond to this call," said Los Angeles County Sheriff's Department Capt. James Tatreau. The LASD put out a flyer Tuesday with the description of the suspect vehicle involved in the incident. The car is described as a 2015-17 dark gray, four-door Toyota Camry. 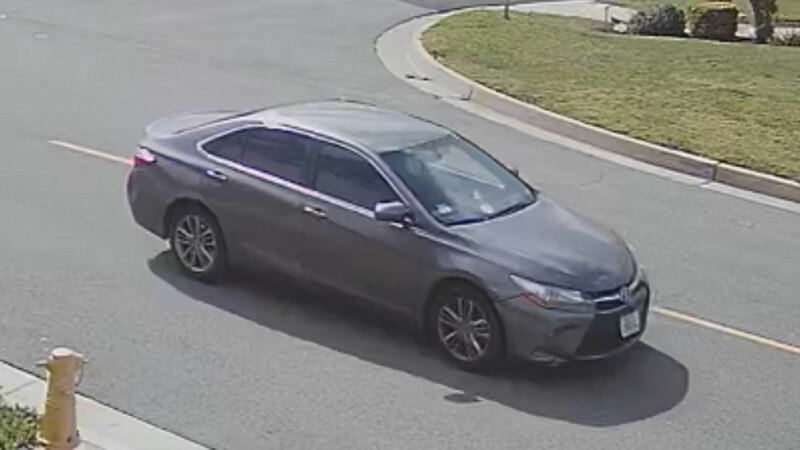 The Los Angeles County Sheriff's Department released this photo of a 2015-17 gray four-door Toyota Camry believed to be involved in a fatal hit-and-run in La Mirada. The sheriff's department said eyewitnesses tell them they saw the male driver on the phone while behind the wheel. The Chavarria family and investigators are asking for the public's help in finding the suspect. "We need justice for my mom. What this person has done is heartless and it's inhumane. It's not fair that he gets to wake up every single day and live life like nothing happened," cried the victim's daughter. "We can't do that. We can't pretend like she's still here..."